The final treatment for your concrete. 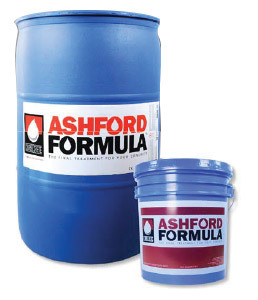 Ashford Formula - today the name is synonymous with quality, performance and value. Ashford Formula Australia can provide experienced representatives who are experts in the Ashford Formula and CureCrete products who are readily available for you on any project throughout Australia. We are committed to providing the highest quality and most effective products available in the industry. Concrete curing, sealing, hardening and dustproofing by chemical densification is a concept introduced by Ashford Formula over fifty years ago. New or Old Concrete - Your Choice! Ashford Formula can be used on new or existing slabs. Either way, it provides the same long-lasting protection. Ashford Formula is sold directly to professionals on a per-project basis - we work closely with all our clients with project managing to ensure the correct application method is adhered and conformed to. Ashford Formula has proven itself. Six decades of performance have proven them wrong. These permanent results are achieved through the unique and unmatched chemistry. The concept is very simple: a concrete floor surface is internally sealed through a process of crystalline growth. The same reaction also hardens the concrete and locks up the dust. Because the chemistry is inorganic, there is nothing to wear out, scratch or peel. We proudly offer a 20 years to lifetime warranty on the floor! For further details, please click here. Ashford Formula Australia provides the best warranty in the business; a 20-year written warranty for the treated surface to remain sealed, hardened and free of concrete dust. Floors sealed 50 years ago with Ashford Formula are still in use. Independent testing verifies Ashford Formula’s effectiveness. Only Ashford Formula contains unique ingredients that ensure long-term performance.